South Africa’s Woolworths will hold a 51 per cent stake in a joint venture it has formed with Kenya’s Deacons, giving it control in the operations of the new company. Deacons Kenya is set to take up a 49 per cent stake in the venture that formally ends the previous franchise arrangement where Woolworths only supplied Deacons with its brands. The deal dubbed Woolworth’s Kenya Proprietary Limited, is the latest move by Woolworths to launch direct operations in more African countries. “Woolworths will have a 51 per cent stake in the joint venture while we will have a 49 per cent shareholding,” said Wahome Muchiri, Deacon’s chief executive. 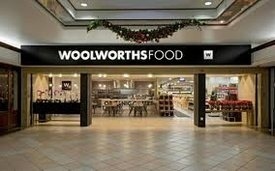 “We (Deacons) will manage the new company,” he said, adding that Woolworths will remain the supplier of its brands of clothes and household items. Deacons will reserve the right to manage the venture despite its minority stake, Mr Wahome said, signalling that their business partners prefer local expertise in the running of the company. This also shows that Woolworths is keen to avoid the pitfalls of collapsed South African firms that chose to ship in their management teams to Kenyan subsidiaries, a move that has been linked to their failure. Supreme Furniture, retail chain Cash and Carry, Nandos and clothing chain Stuttafords are some of the South African firms that relied on expatriate management and failed to crack the Kenyan market. The managing director of the joint venture is expected to report to Mr Muchiri. Woolworths has historically preferred trading under the franchise model where it would sell products to partner firms with limited involvement in the business. In September, 2010, the firm stopped using this model, arguing that it needed to acquire more control that would enable it standardise marketing and in-store experiences in the multiple markets it operates in. The giant retailer inked a deal with Tanzanian businessman and former franchisee Ali Mufuruki for a 51 per cent stake in Uganda and Tanzania. In Kenya, its majority stake will give the South African retailer an opportunity to widen its product range to include food, loans, and credit cards that it already offers in South Africa. For Deacons, the new partnership could boost its share of profits from the Woolworths brands and allow it to boost its other business units, especially its internal brand established in 2004, and Truworths, a franchise deal entered in 1999.